"Nature knows best….It is through study and observation of nature, of the visible, physical reality, that we can learn to understand the workings of the underlying reality." 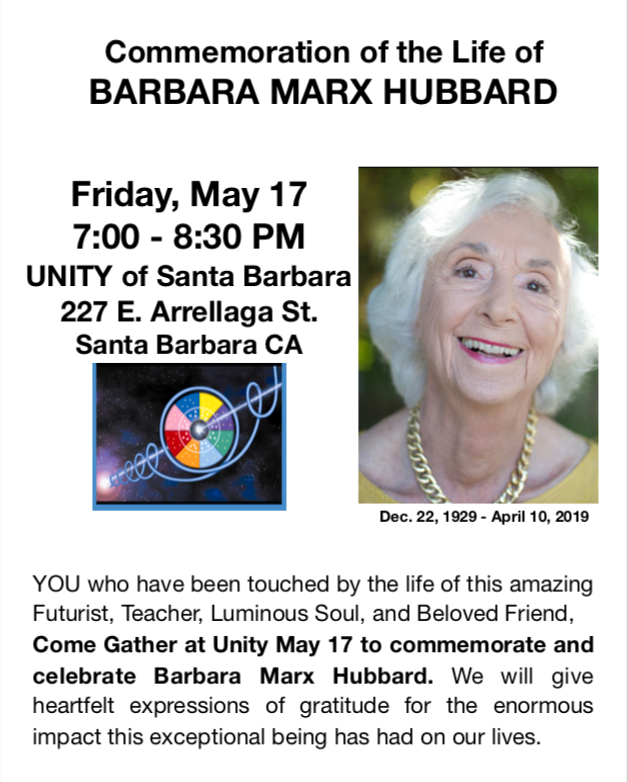 1 4/17/19 BMH Memorial at UNITY of SB Friday May 17, 7-8:30pm Ani A. 2 4/11/19 Barbara Marx Hubbard has Crossed Over Ani A. 3 4/8/19 Follow BMH progress and Share heart space Ani A. 4 4/8/19 Mutational Miracle for BMH Ani A.
Hi Everybody. 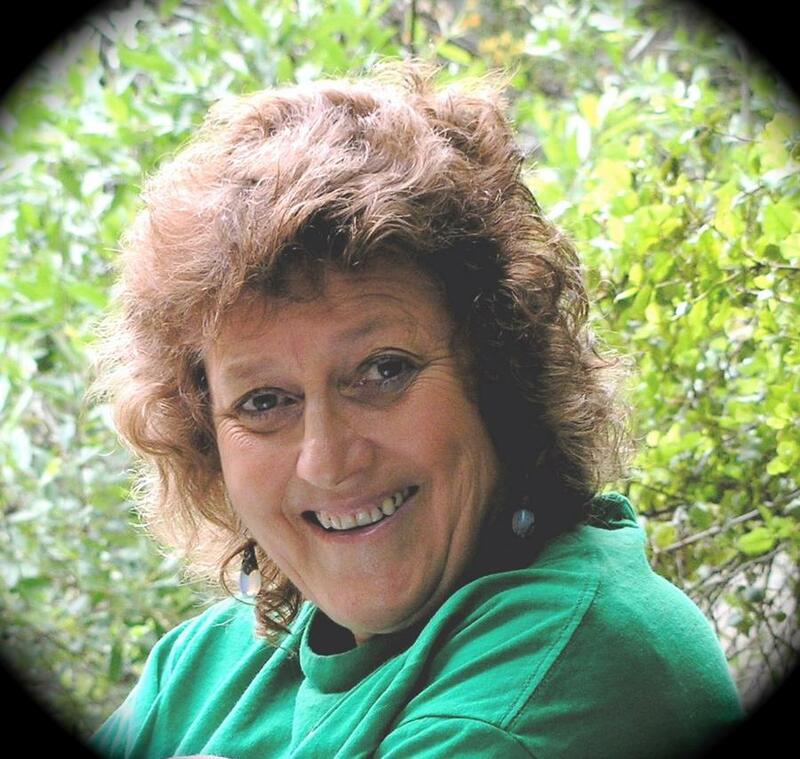 Barbara Marx Hubbard is in ICU in a hospital in Loveland CO, with what was a minor knee issue. What comes to my heart and mind as a feeling prayer, is the rise of a "mutational miracle" in her current deep sleep state of "allowing". Let's know and feel with her the power of the Inner Healer making all things New?? Ani?? 5 3/30/19 Linda Taylor Memorial - Sunday 1pm at Ayni Gallery Ani A. 6 3/2/19 Live in the Country? Help Someone and Make Some Easy Money Too. :) Brian W.
I am a former Santa Barbara resident, but I'm now down in Orange County until I return to SB, hopefully this year. When I was there, I was a frequent visitor at the meetings with Tomothy Conway, Robin and Linda and others, and was also a coordinator for Bob Nickel. 7 2/27/19 Joan Halifax tonight Ani A. 8 2/10/19 Evolutionary Ambassadors Program Ani A. 9 2/10/19 BMH Update Ani A. 10 2/7/19 A Message from Barbara Marx Hubbard Ani A.